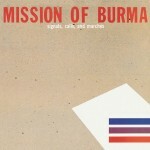 Among the slew of post-punk bands in the early 1980s, Mission of Burma was one of the few American groups, and probably one of the best. I had known of them for years but never checked out any of their work until the autumn of last year when I downloaded their Rykodisc compilation. I was living in Scotland at the time, and something about their songs really resonated with me as I spent countless grim mornings huddled at a bus stop in the pouring rain, hood up and headphones on. The two disc set consists of the original 1981 EP (remastered from the original tapes) and their debut 7” , both on 12” , 33 1/3 records. 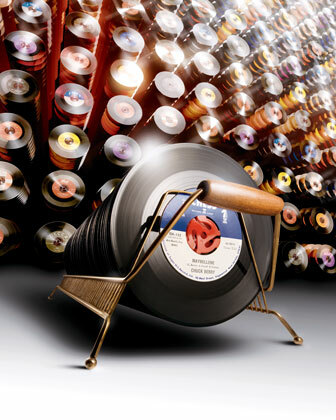 These are 180g LPs, which means these records are thicker, heavier and generally better quality than other discs, which are generally 120g-140g. Most audiophile grade recordings are on heavy vinyl, and the improvement in sound is apparent. This is some of the quietest (in terms of surface noise) vinyl I have ever heard. Not a single pop or crack in either the lead in or run out groove, just a faint hiss. Nearly every other record I own has a noticeable amount of crackle, even brand new ones. Little details are revealed by the new remaster, like the acoustic guitar buried in “Academy Fight Song”, and the bass has a good punch without being overwhelming. However, the vocals are a bit thin and the drums are vaguely distant. Despite this, i’m quite pleased with the sonics: the background is nice and black like I mentioned, and the whole thing has that laid back analog sound I know and love. The set also includes a coupon for a free MP3 download of the album, booklet with pics and interviews, and a DVD of some live performances from 79-80. I haven’t checked out the DVD yet, but they supposedly had a mixed reputation as a live band (hence the title The Horrible Truth about Burma for their live album). You can get it from Amazon for 28 dollars , but I got mine from elusivedisc , a company i’ve been a fan of for a while.